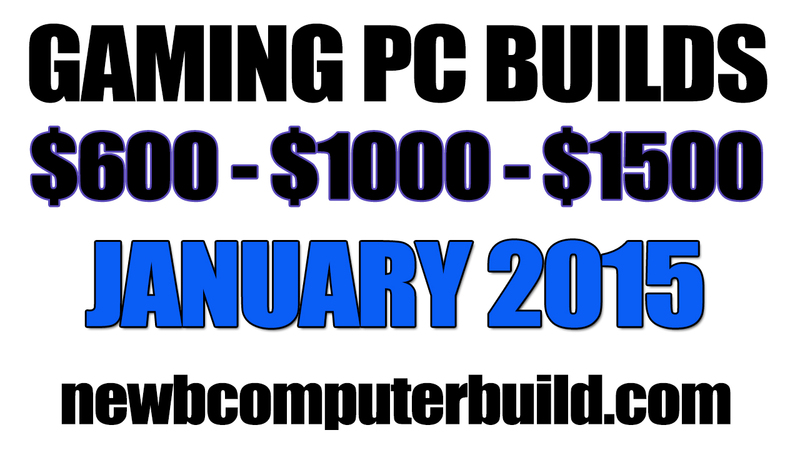 Happy New Year everyone and welcome to the January 2015 gaming pc builds of the month. I’m now going into the fourth full year of doing these monthly articles, which is just crazy to think about if you ask me, and I would like to thank everyone who tunes in monthly and to those coming here to learn and build for the first time. Starting off January hardware prices seems to have gone up overall, but this is most likely due to post holiday inflation and all of the exciting things going on right now such as the 2015 International CES – Consumer Electronic Show where so many exciting things in the world tech and in pc hardware are announced every year. However, each build has been changed to accommodate for any price fluctuations and none of their performance have been affected in their respective budgets of $1500, $1000 and $600. Along with the three main builds, there is also an included gaming pc peripherals section located at the very end of this article, which I urge anyone who needs a new mouse, keyboard or monitor to check out and also there is an operating systems section for those of you who need that as well. I hope you enjoy this months builds and please feel free to leave a comment or question in the comments section below the article. There have been zero changes to overall performance of the $1500 build this month, however we have had to cut back on some of the hardware from December’s build to accommodate for price changes. Last month we saw a ton of price decreases in overall hardware costs, however with the new year price have caught up again. The included processor is the Intel i5 4690K processor, which is fully unlocked and very easily overclockable. Using the included MSI Z97 Gaming 5 motherboard, you can easily overclock the 4690K and especially if you use the included OC Genie option on the motherboard (or you can manually do it). 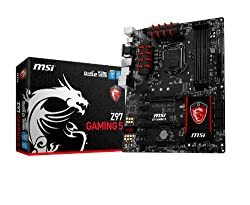 The MSI Z97 Gaming 5 motherboard can overclock the processor and ram quite easily and comes with an array of features that can be read directly on MSI’s Website. 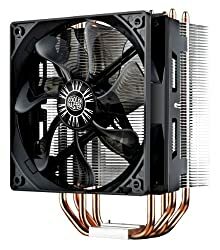 I have switched back to the Cooler Master Hyper 212 CPU Cooler, down from last months upgrade to the Corsair Liquid H100i cooler, however this is due to costs, since that cooler is about $70 more. 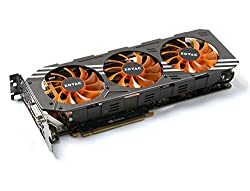 For the graphics card, I chose the Zotac GeForce GTX 980 AMP Edition, which is priced at exactly what the GTX 980 should be priced at right now and it has gotten great reviews and it is priced just perfectly when compared to similar cards. Our RAM package has stayed the same with the Crucial Ballistix Sport 16GB (8Gb X 2). 16Gb of memory is more then enough and it will last in a gaming pc build for years to come. The included hard disk hard-drive used is the same one I’ve included for a few months now, the Seagate Barracuda 1TB. There is also an included Samsung 850 Pro 128GB Solid State Drive. For the same price as the Samsung 840 PRO that has 550MB/s Read speeds and 470MB/2 Write speeds. You can also opt for the 256 GB version of the Samsung 850 Pro if you scrapped the Seagate Barracuda 1TB Hard Drive for pretty much the same price given the saved cost of the Seagate drive. 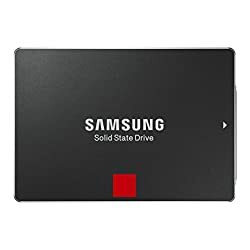 Likewise, you could get a 250GB regular Samsung 850 250GB SSD for $132; it all depends on how much space you have and how much you have to put towards your storage. The power supply unit included is an EVGA SuperNOVA 750 Watt PSU. This is a feature packed quality built PSU that is fully modular Gold Certified PSU (with up to 90% efficiency). So this PSU will perform quietly and use less energy while also looking pretty good – in my opinion one of the best PSU buys in the 750Watt range these days. And on the plus side, this power supply dropped back down in price making it a fantastic purchase right now. The full tower case included for the second month in a row is the Phanteks Enthoo Pro Full-Tower chassis. The one featured in the table above is a nice sleek looking one version without the side window, as there is also a windows version available. So far there have been no notable new PC case releases since last months article, so I thought it be best to include this very well values full towered case again. – Extensive water cooling support. Provides up to 4 different installation areas for slim and thick radiators varying from single to triple (120mm and 140mm form factors). Clearance for push-pull fan configurations. – Removable dust filters for easy maintenance. 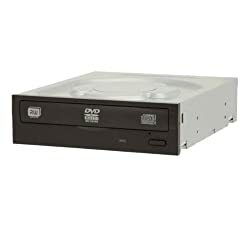 Lastly, we have the optical drive, which I went with the LITE-ON optical drive which is simply one of the cheapest optical drives you can purchase at the moment. If you have a little bit of extra cash then you may be wondering what else you could spend it on either over and above the $1500 budget outlines above or in the near future. If you do more then gaming, then an Intel i7-4790K processor may be a worthy upgrade from the Intel i5 4690K processor included in the $1500 gaming pc build. You can also splurge a bit more into your graphics budget and go and SLI with another GTX 780, or you could go for a Dual GPU Radeon R9 295X2 graphics card that comes with a closed looped liquid cooler. 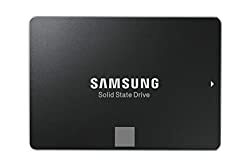 You could also go with more storage in your SSD by going with an affordable Samsung 850 EVO 1TB SSD – or any combination of drives mentioned in the $1500 build overview above. 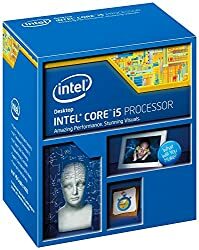 Intel Core i7-4790K Processor (8M Cache, up to 4.40 GHz) (BX80646I74790K) ($335.99) – Do more then gaming? – Then an i7 might be the right choice. The included processor is the Intel i5 4690K processor, as it has been for months now. With such an easily overclockable processor, I have also included the Cool Master Hyper 212 Evo cpu cooler into the January $1000 build. You may notice that this build does go a little over budget this month coming in at a current cost of $1044, but I couldn’t avoid this without losing the performance of this build from previous months. My suggestion for this month build would be to keep an eye out for an Intel 4690K that drops a little bit in price (as it is a little high at the moment) and then any slight decrease in the rest of the hardware. 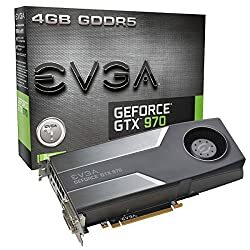 The included graphics card is the EVGA GTX 970 graphics card, which is a great choice in this budget range and well worth the cost where it’s at. In this budget category you really have two choice of similarly performing cards at the moment, the first which is the GTA 970 you see in this build as well you can also go with the Radeon 290X if you find one with a lower price then $329. The biggest difference between these two cards is that the Radeon 290X does use more energy, white the power consumption of the GTX 970 is much lower. 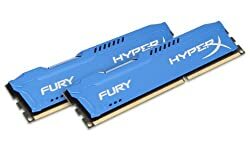 For memory, I have switched to a kit of 8Gb of DDR3 Kingston HyperX Fury – where 8Gb of RAM should be the perfect amount for a good build. 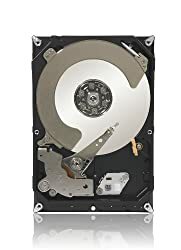 We have a 1TB Seagate Barracuda hard drive, which should be plenty of space for most gamers – I didn’t include an SSD since the budget just didn’t allow for it, however you could swap for a low storage SSD option if you wanted, or spend a little more and add one in (as seen in the alternatives section below). 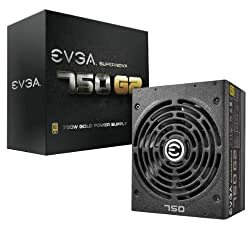 The power supply unit being used is the EVGA SuperNOVA G1 750W power supply, which is a great PSU with all modular cables, high-quality Japanese brand capacitors. 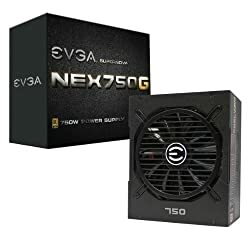 Yes I did switch this PSU from the previous EVGA SuperNOVA 650 Watt version, this is because the 750 Watt version is priced lower then the 650W version; I have no idea why, but I would scope out the cost of each and just by the cheaper of the two. 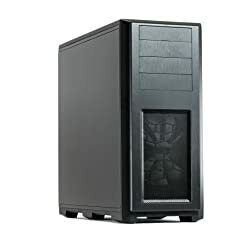 For a PC case this month I have included the well priced Corsair Graphite Series 230T, a compact Mid-Tower case. This case dual front intake LED fans and has a refined gaming pc appeal. Dual 120mm front LED fans and rear 120mm exhaust fan. As with all of the builds, we have the same optical drive. I went with the LITE-ON seen in above table, which is simply one of the cheapest optical drives you can purchase at the moment. 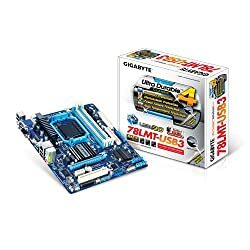 Below are some hardware additions should you have some extra cash and want to upgrade a specific piece to the above build. Whether you have some extra cash over and above the $1000 budget to spend or want some future considerations here they are. You could get some serious graphics power with the SLI of two EVGA GTX 970 graphics cards, which would definitely be enough juice for higher resolutions (2560X1600 for example) or even high resolution multi-monitor setups. You could also consider this a worthy future upgrade consideration should you find you need the graphics juice in the years to come. Since there is no SSD included in the base $1000 build, I do suggest you highly considering one if you funds allow. This month the Samsung 850 PRO SSD is included. For those that simply want more space for large sums of media etc. you could consider getting a 2TB drive (doubling your space) with the Seagate Barracuda 2TB drive. I have included a pc case alternative for those that want a second option for the $1000 build this month. 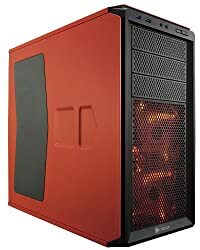 Actually, the extra case is the same as the one used in the $1500 build and this is because I think its an awesome purchase for a quality well priced full tower gaming pc case option. Also, please *note that if you do decide to SLI with another GTX 970, I would suggest you have at least a 750W PSU (already included in the above build). Alternative PC Case:Phanteks Enthoo Pro Full Tower Chassis without Window Cases PH-ES614PC ($98.46) *Very affordable Full Tower that is still of great quality. Just as good as ever, the $600 build has had some changes to accommodate for price differences, however nothing really had t change too much or get lost. For the graphics card, we again have a Radeon R9 280, however this month we have the Sapphire Radeon R9 280, which will give you great performance in most games at 1920×1080. We have a total of 8Gb included in the $600 gaming pc build – a kit of Kingston HyperX FURY 8GB. As for a hard drive for each build this month we have the same for each build, which is the 1TB Seagate Barracuda. The PSU has switched to a different brand for the first time in a while. 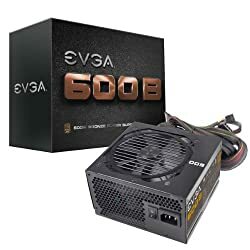 The new power supply is the EVGA 600B 600Watt power supply, plenty of power for this build and a great price for 600Watts of power in a solid budget psu. The last little pice of hardware is our optical drive – due to its current lowest cost option, I went with the included LITE-ON that you can see in the above table. 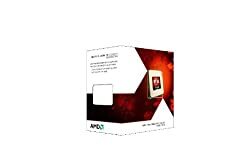 Overclocking the AMD FX 6300 – The following information video (AMD FX 6300 Overclocking Guide (Overclock to 5 ghz) Step by Step Guide) can help you if your new to overclocking and if you decide to go with this $600 gaming pc build. The upgrades and alternatives this month include an upgraded eight core AMD FX-8320 processor, for about $45 more you could get a faster cpu with 8 cores. I have included two hard drive alternative solutions. The first being a 2TB Seagate Barracuda for those that need a ton of storage, perhaps you have a large movie collection? The second drive is a Samsung 850 EVO 120GB solid state drive if you want to have a super quick boot drive. The final suggestion I put here is a quick case alternative for those that want a difference higher quality micro atx sized case. Such as the Corsair Carbide Series Air 240 case seen below, which has a unique box layout and tons of space. Here are the peripheral suggestions this month. The $600, $1000 and $1500 builds in this article include the hardware you need to setup up the base PC, but over and above that if you don’t already own a keyboard, mouse and monitor, then your build would be useless. 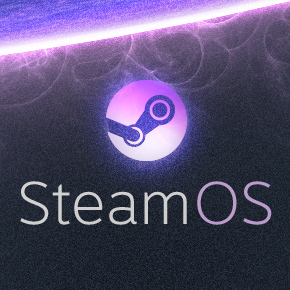 Furthermore, you will also need an operating system to run as the backbone to seamlessly run your hardware with your software / games, so there are also suggestions for these included below. By all means this is not a comprehensive list or meant to be the best of the best, but they are some of the best in the respective “higher end”, “mid-range” & “basic” peripheral categories for gaming specific builds. The “higher end” peripherals are meant to showcase some of the more popular higher end / gaming specific peripheral hardware that one may consider to have the top of the line gaming peripherals. The keyboard below is the Razer BlackWidow Chroma Mechanical Gaming Keyboard, with fully programmable keys and 5 additional gaming keys with on the fly macro recording. 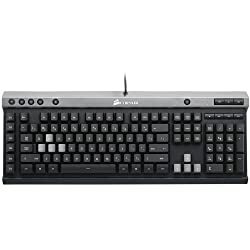 mechanical keys with distinct tactile feel and fast response and more [learn more at razerzone.com]. The included mouse is the Logitech G502 Proteus Core – a very comfortable mouse with 11 large programmable buttons and easily one of the best mice out there [learn more at gaming.logitech.com]. 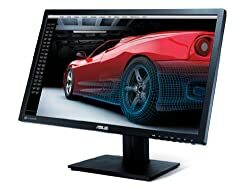 Last, we have a higher resolution (2560X1440) ASUS PB278Q monitor, a 27 inch LED lit monitor perfect for a higher end gaming pc (such as the $1500 build) – The ASUS PB278Q specifications can be read at [asus.com]. The mid-range category is perfect for those that want to have great gaming peripherals, but not necessarily the most expensive. This month the mid-range gaming peripherals have stayed the same. The keyboard chosen is the Razer Black Widow Ultimate, a great performing keyboard with comfortable keys and wrist area – one of the best all around gaming keyboards [learn more on the razerzone.com website]. This was included in the higher end gaming hardware last month, however I thought it better fit here. The included mouse is the Logitech G302 Daedalis Prime mouse, which is a comfortable minimalist designed mouse with highly responsive buttons and shape [Learn more at gaming.logitech.com]. 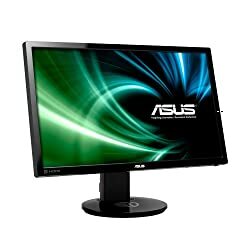 The monitor included is the ASUS VG248QE, which is a popular 24-inch 1920X1080 and very fast response times, definitely a great pick for any caliber of gamer. If you are starting out from scratch and have absolutely no peripherals for your new gaming pc build on a budget, then things can get quite pricy very quickly. The “basic” peripherals are meant to showcase some of the most popular basic peripherals that are not exactly gaming specific, but are definitely quality pc hardware that would fair just fine. Just because these are labelled “basic” doesn’t meant they are cheap or not good, just cheaper and not always gaming specific. Its quite fine, I’ll just begin looking through the available options at amazon. 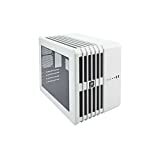 What website do you advice me to look at for the cases, if there is other than amazon? Also, are there BAD cases where i should avoid? ill be reading up on the reviews but just in case. I forgot to mention, but my current screen is not HDMI.I have a blue end with pins sticking out. DVI I think. The major difference between HDMI and DVI cords are that HDMI carry audio along with a video signal, no big deal which you’d want to go with. One last question. I’ll be looking up a video to OC. I’ve read that the stock+ thermal past will run fine with OC AMD FX-6300 6-Core Processor Black. Is that true? Yep 🙂 The stock thermal paste definitely will work fine. I lied. Here is another question. On amazon its $239.99, but on ebay its around a 100, a 150 or so. On ebay though, it seems it only comes with the graphic cards itself, nothing about the other cords that I saw. What are those cords? It it fine to buy it from Ebay? That’s the R9 280x not the R9 280, but it still would have been a good purchase for that price on ebay. It would probably still have any cords you need, but the psu should had the right connection for that card anyhow. Likewise for an alternative graphics card you could try for the Radeon R9 380 for around $200. Sounds good and no problem. You could try newegg.com as well. There are bad cases, but not to the extent it generally affects performance in any way. What I could consider a bad case would be one that provides poor airflow, which can happen with MicroAtx cases due to them being quite smaller. If you want you can run some by me should you narrow some you like down. Thanks very much for the blog! I just have a quick question. I have a gateaway 19” widescreen, 1440×900 contrast ratio 1000:1. Its a BIT scratched, and a bit of a blur, which makes the words have a tiny shadow of some sort. I THINK it came with my ancient dx4200-09. 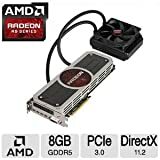 My question is, will it work fine on the $600 build? then the follow up question, is it WORTH the difference between my old screen, and the one you advised for the medium build? if you would like, ill somehow search the screen for the model number or something. Also, I do not like the case. I want something more cosmetic and lustrous. Is the only requirement is for it to be the same size as the motherboard, which is a Micro ATX? You’re welcome and thank you. 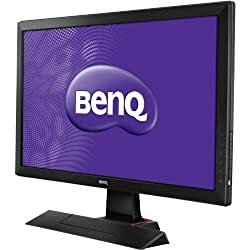 That monitor would work with the $600 build, I would first check though whether it has a DVI or HDMI connection. With that particular resolution you should be able to max most games as well since it is a little lower then 1920×1080. And you are right, the case just needs to be able to fit a Micro ATX motherboard. This could include a Micro ATX case or even a mid tower case. If you want a full atx $600 build, you could also check out the most recent August builds, which in my opinion also includes a more appealing case. Take a look and let me know, I can definitely recommend others, around the same price I’m assuming? weird…I replied but it doesn’t even show. Anyway, thank you for the speedy reply, I’ll just look through the cases that fit my taste. Through a mixture of new and exdisplay components I have ordered my first gaming build from ebuyer due to be delivered on Friday. It comes to £620 roughly $900. Looking to play GTA V and Elder Scrolls online. Will this be able to handle the game demands (hoping to run on very high or ultra settings if possible)? Is there anything I should contact them to cancel or change? Hello Bryan, no I wouldn’t change a thing, that’s a great machine with so much potential. Best of luck playing GTA V and Elder Scrolls. Can i get a motherboard upgrade option for the $1500 PC build? Yeah, depends what you’re looking for. 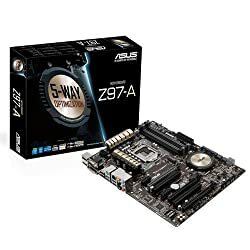 How about either the ASRock Z97-Extreme6 (or extreme 9), Asus Z97-Pro (wi-fi ac)? I STILL CAN’T DECIDE BETWEEN THE VIDEO CARD AND THE CASE. IS THIS A GOOD BUILD? THANK YOU. That’s a great looking build, what does it come out to? Up to you on the graphics cards you listed, I’d get the cheapest of the two. And out of those two particular cases the AEROCOOL STRIKE X-ONE ADVANCE is more visually appealing in my opinion. Hi Corey! I came up with an another build. Is this build enough to play GTA V and WWE 2K15 PC? Hi Lorenz – That build looks good too, make sure the MSI 970 is the AM3+ version so that its compatible with the FX 6300. Likewise if you find a AMD Radeon R9 270 graphics card near the same price (as its dropped recently) I’d go with that, otherwise you’ll still be fine. Thank You so much Corey!. I going to go with the ZOTAC GTX 960 2gb ddr5 with tihs build. the FX-8350 is maybe too much for me. Thanks a lot. Your build looks great and congrats on your first build! Which you can get the same psu you have but bump it up to the 750W or 850 for about $10 more. Thanks a lot Corey 🙂 and I forgot about bottlenecks.. Will there be any? Definitely won’t be a bottleneck with the AMD 8320 and the R9 290 graphics card, no worries! Sorry for a later response as I was away for a tad and I’m confident it won’t be too hard for you! You’re right, the prices have got a little interesting for the EVGA GTX 970 cards. The one you’re referring to “GTX 970 ACX 2.0” is a slightly better version card, not that you would notice the difference so much in performance, but it does have double cooling fans and its base clock rate is slightly faster. Glad you found what you needed, don’t worry I’ve done the exact same thing before. Would the MSI Computer Corp. Micro ATX DDR3 1600 LGA 1150 Motherboards B85M be a good motherboard upgrade to the $600 build? Will everything still be compatible? Unfortunately that motherboard would not be compatible as it would only support a B85 Intel chipset. You need a motherboard that supports an AM3+ chipset as the processor being used is an AMD one. Here’s my concern. I’m saving to build a budget gaming rig, and I was wondering if I could buy the parts piece by piece? Because I’m not patient, I can’t save up to buy everything at once, and my current allowances do not permit to do so anyway. So, question is, is it ok if I buy the parts one at a time? And if so, what should I buy first? And also, the builds for the 600$ budget do no change much, right? Thank you. First, you are right the $600 hasn’t changed very much in quite a while (nothing drastic anyhow). IfI were to purchase hardware one by one, I don’t think it would matter too too much with what you purchased first as you need a bulk of the hardware to even get up and running. However, you could purchase the case last (not needed to boot up), and could do without an optical drive for now. 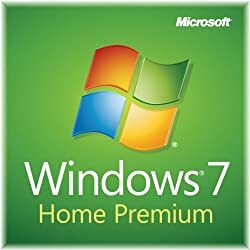 You could also look in any spare computers you or your friends may have and grab an old hard drive and perhaps even a spare low-end graphics card so that you can boot up and purchase the recommended graphics last since its one of the most expensive bits. No you don’t have to purchase the OS right away, you could piece everything together and boot to BIOS to see if its all working etc. 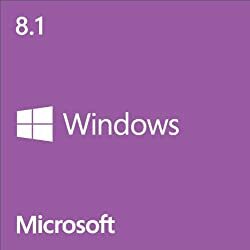 But you will need some sort of OS to get any software going, which could you try one of the two free alternatives I listed above (Such as Ubuntu, just install to a DVD to USB stick to install). That should work just fine. Without knowing where you’d be purchasing I’m not sure what to recommend as I’m not entirely familiar with PC shops in Turkey. If you do want to save cash on the build there are always ways of slimming the budget though – You could go with a an i5 4460 processor, which could save you some more cash. Since it doesn’t overclock, you could go with a Gigabyte G1.Sniper B5 (Only $100 USD) or Gigabyte GA-B85M-D3H (Only $82 USD). thanks man 🙂 what about buying middle tower case with psu so i can replace z97-a with z97 pro. Yeah you could do that, there is a Mid Tower cased included in the $1000 build though already, however if you find a cheaper one you could definitely use the difference towards a Z97 Pro. I am having some troubles with my build, it wont display on my monitor anymore. My monitor is a Dell 3007WFP and it stopped working after the build randomly started getting slow, so I restarted and the monitor didn’t display anything. I am almost positive it is not on the hardware size as I tested it on my 32″ hdmi tv and some other Dvi-D monitor I had lying around, I tried setting the resolution to the lowest (800×600) and switching to my monitor but it just wont show anything on the monitor. Do you know what is going wrong? Not sure what would cause that if not hardware. Have you tried a separate DVI cord? And if it’s still under warranty and even if not I’d call DELL support directly to see if they can help. Also as an aside, have you tried plugging directly into the motherboards integrated graphics or if you have another graphics card, instead of the graphics card you’re using, just to discount a problem there. I have taken out the GPU and it worked just fine off of the motherboards integrated DVI port, I have got the monitor to work just fine a few times and I do have another graphics card I could test out but I think the problem resides in the windows resolution, as the problem occured after I plugged the PC into a friends TV to watch a movie and may have changed the resolution. I have tried setting it to the lowest res (800-600) and now image displays. I will try to get ahold of Dell Support, thanks for the advice. Hey no problem hope it works out. Would a Zotac 970 Extreme AMP work with the $1000 build? Thanks! You’re the man! Appreciate the builds man. As always great job brother!